All types of healthcare, including measurable residual disease (MRD) testing should be available to everyone throughout Europe. 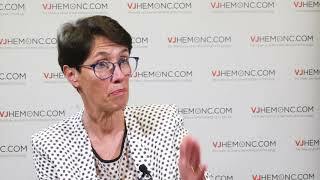 Speaking from the 2018 European School of Hematology (ESH) Clinical Updates on Acute Leukemias, Elizabeth Macintyre, MD, PhD, of the Hôpital Necker-Enfants Malades, Paris, France, explains how groups such as EuroMRD Consortium are making this possible. Every patient in Europe should have equal access to state-of-the-art diagnostics. 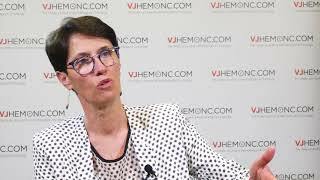 Now obviously that’s not going to be in their hospital; to be very schematic and over to oversimplify, I work closely with a group called EuroMRD which emanated from one University, at Erasmus University. Jacques van Dongen created EuroMRD thanks to EU concerted action funding, and that should not be forgotten; we tend to forget what Brussels does for us. And because of these concerted actions over a series of programmes, we created a group that has been in existence for over 20 years and which aims to standardize and to optimize, and we, as a rule of thumb, we reckon that you need one MRD lab for 10 million inhabitants. So you can do your sums; there’s, let’s say 500 million people in the EU, so that would mean 550 labs for ALL. but that’s a rare disease. And what should we do at the European level and what should we do at the national level? I think it’s just a little microcosm of Europe; some things should be done at the national level and some need European level management. But it mustn’t be, it shouldn’t be you only get state-of-the-art MRD management if you live near or if you happen to be managed at a big university center. 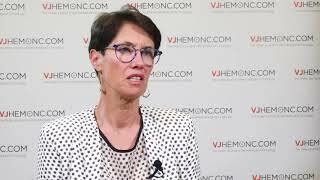 How have leukemia diagnostics and management evolved?